Tiffany's Online Finds and Deals: Grab even more $.96 Wine Bottle Opener for Amazon Prime Members! 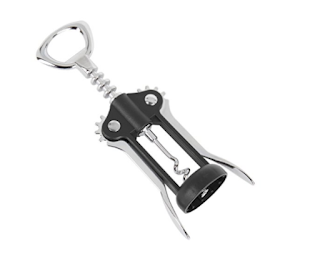 Grab even more $.96 Wine Bottle Opener for Amazon Prime Members! Do you have Amazon prime? If so you can grab this Wine Bottle opener for ONLY $.96 from gleams at bottom of post! How do you get this deal? 4. GO to www.amazon.com and put the search term in the amazon search bar. 7. PLEASE leave your order #s here or on Tiffany's Online Finds and Deals post THANK YOU! *If alll codes are gone it will say REWARD ENDED. Come back tomorrow as codes will be added!